The Golden Rules for Vehicle Wrap Design is a formula that wrap shops can use to streamline the design process from the top down. The goal of this process is to help designers better understand how to design with the installer in mind, lower design times for quicker turnaround, and produce efficient, mistake-free installs that increase profits. 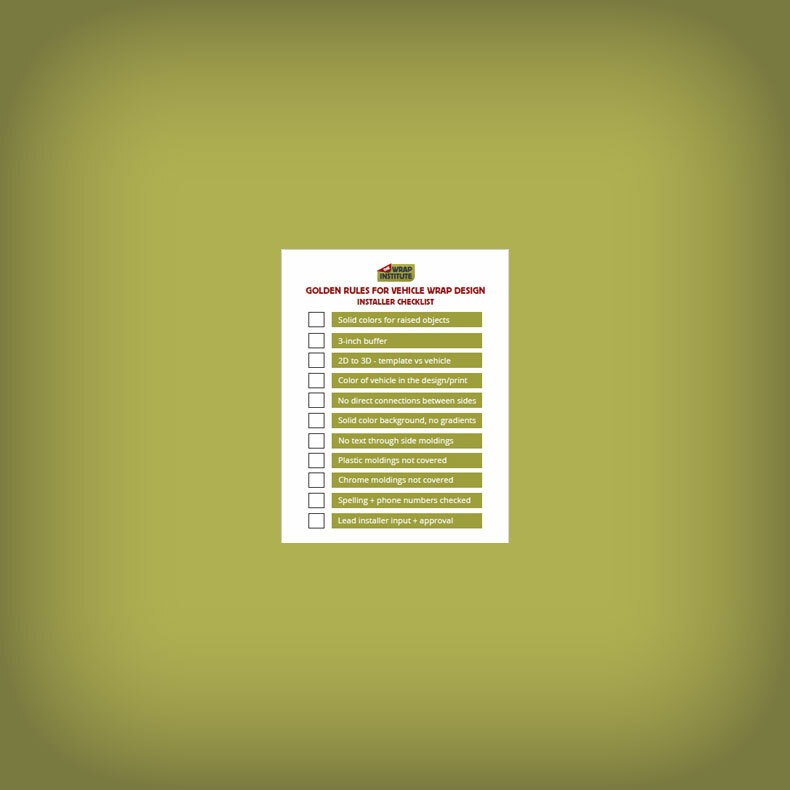 Using the checklist on page 1 for every job will help ensure that all the design points are met. Combined with the other PDFs in the Shop, a paper trail can be created to track all aspects of the wrap from start to finish - resulting in essential information that is organized and readily available.